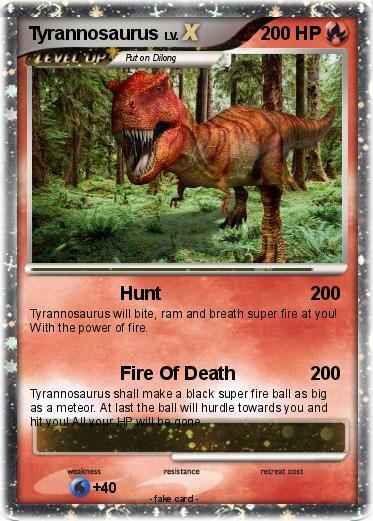 Tyrannosaurus will bite, ram and breath super fire at you! With the power of fire. Tyrannosaurus shall make a black super fire ball as big as a meteor. At last the ball will hurdle towards you and hit you! All your HP will be gone.